On behalf of the Head Girl Team, I’d like to welcome you to our sixth form. I have had the privilege of being part of the Ursuline since year 7. For me, the main feature that sets our school apart from the rest, is the sense of community. The sixth form is a diverse, loving community that builds each other up and helps you become the best version of yourself. Being a small sixth form, the level of support and encouragement from both peers and staff is incredible. Every student is known personally by teachers and in this cohesive and supportive environment lifelong friendships are made. Throughout my time at the school I have made some amazing memories and have had a wide range of experiences that have shaped me into the person I am today. The sixth form in particular offers a range of enrichment opportunities such as different university open days and summer schools, volunteering with younger students and even trips to significant historical and cultural locations including a visit to Auschwitz in Poland. Ursuline sixth form is one that strives for success in both academia and in developing an individual socially and spiritually. The positive learning environment combined with dedicated teachers helps every student fulfil their potential. In the sixth form we are challenged and encouraged to not only achieve highly in terms of grades but also to develop a genuine passion and interest for the subjects we are studying. Members of the sixth form are given many opportunities to take up roles of responsibility around the school. Sixth formers are essential to many school events during the year, this can be very rewarding as we are able to give back to the community, be role models for the younger girls, and gain many skills which are beneficial when applying for university and jobs. We are also encouraged to take charge of our own learning and interests by starting various clubs and societies. Our school motto ‘Serviam’ – I will serve is everything we do; this ethos is instilled in us from year 7 to year 13, as we grow to be loving, compassionate, independent young women. Whether you join the school in year 7 or 12 you are very warmly welcomed into the family as an Ursuline girl. Ursuline girls are known to be ambitious, creative and kind hearted. To me, being an Ursuline girl means strength. Being strong as an individual and as a team. Being strong in faith as you achieve success in all aspects of life. In our sixth form you will be with like-minded people and will develop lasting friendships. We are a supportive and nurturing community that works together to achieve our goals. 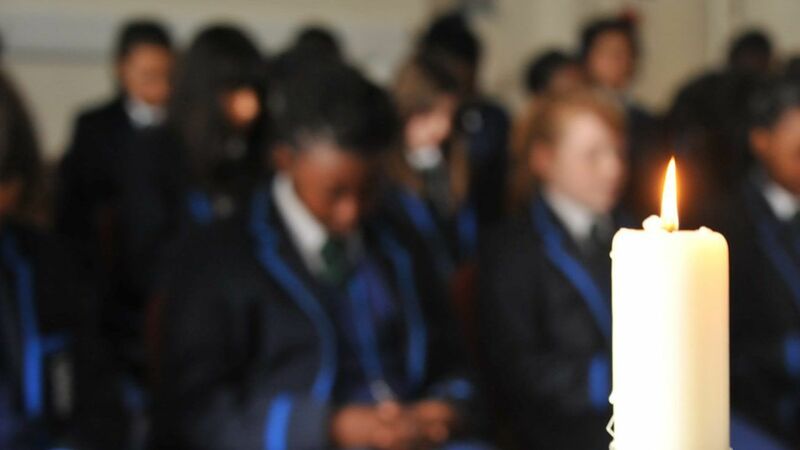 Throughout your time at the Ursuline Academy Ilford you develop as a person as you mature and gain a wealth of skills. I hope you make the right choice, as I did, to study in the diverse and caring environment that is The Ursuline Academy Ilford.